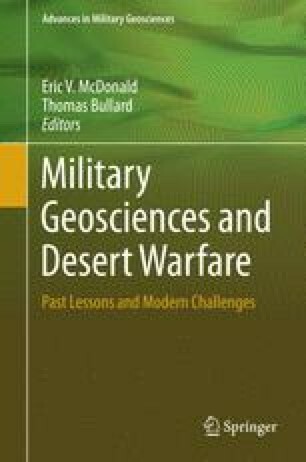 Interest in military geosciences spans a range of issues, including the role of terrains in past and modern warfare, management of military lands in different climatic regions, and the impact of local environmental conditions on military operations. Military geosciences can also seek to ascertain the degree to which past operational or facilities-related military activities themselves affected the associated environments; however, such evidence is often transient and dwarfed by the scale of surrounding natural landscapes. This is not the case at the maritime margin of the American desert southwest, where some military development has significantly altered the coastal geographies along which it occurred. This paper provides a historical overview of geographic change resulting from the development of Navy and Marine Corps installations around the margins of San Diego Bay during the first half of the twentieth Century. The consequences of this change continue to challenge the military’s current and future use of San Diego Bay.